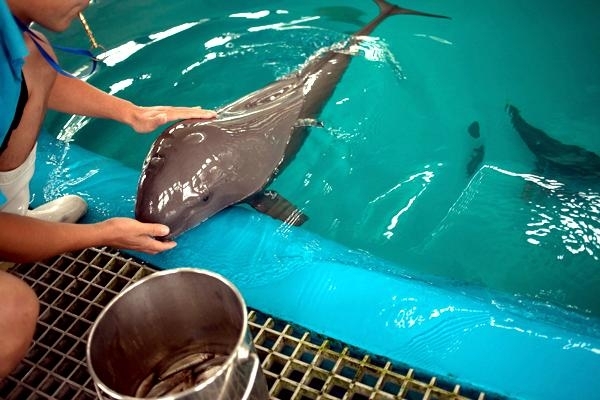 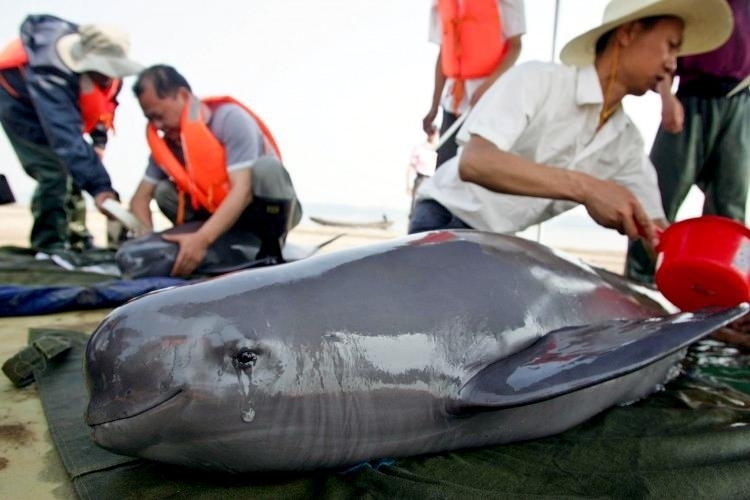 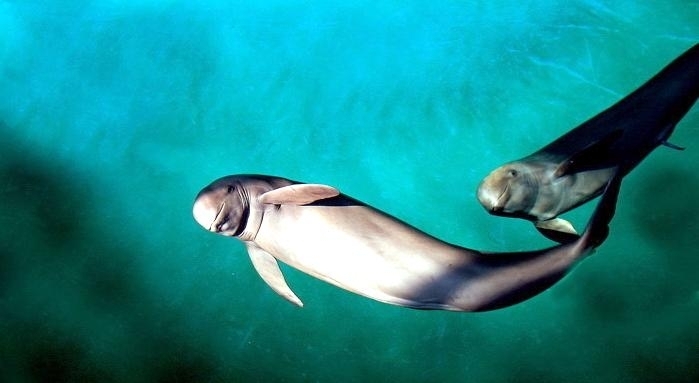 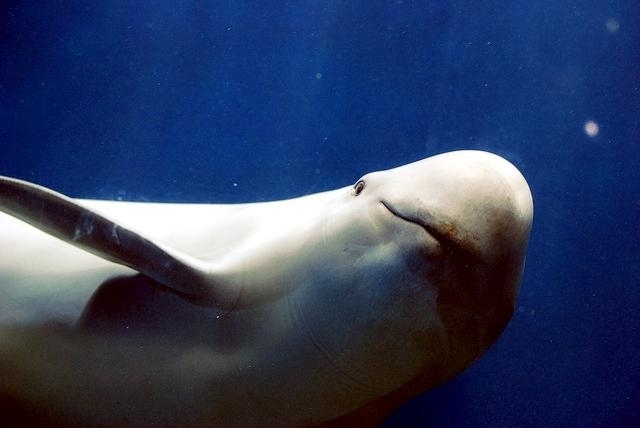 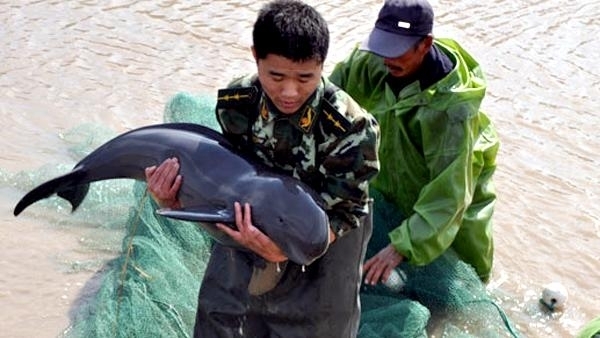 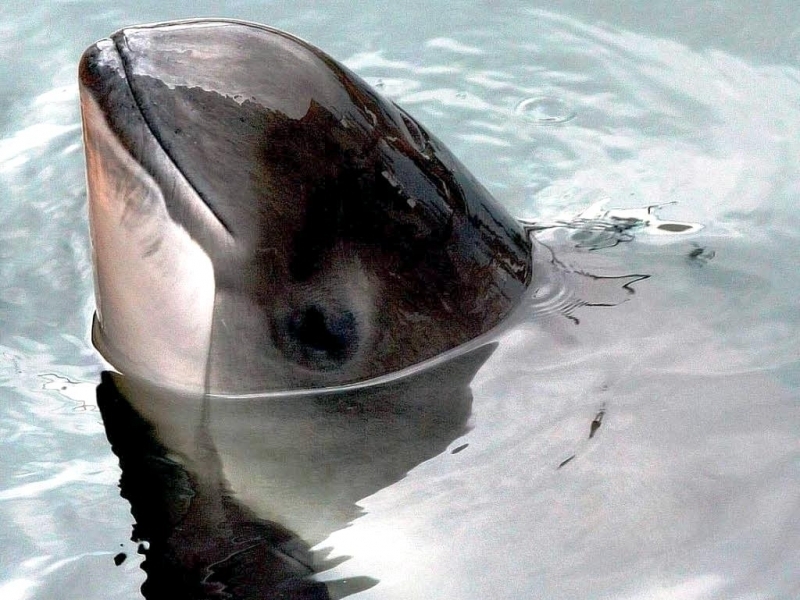 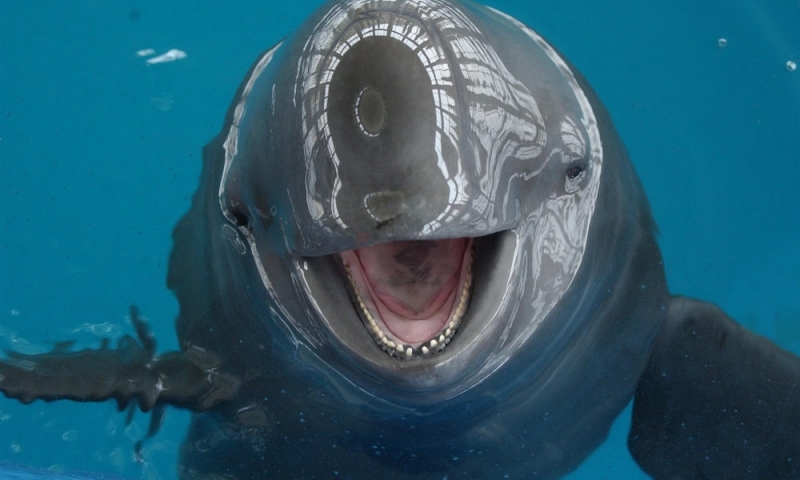 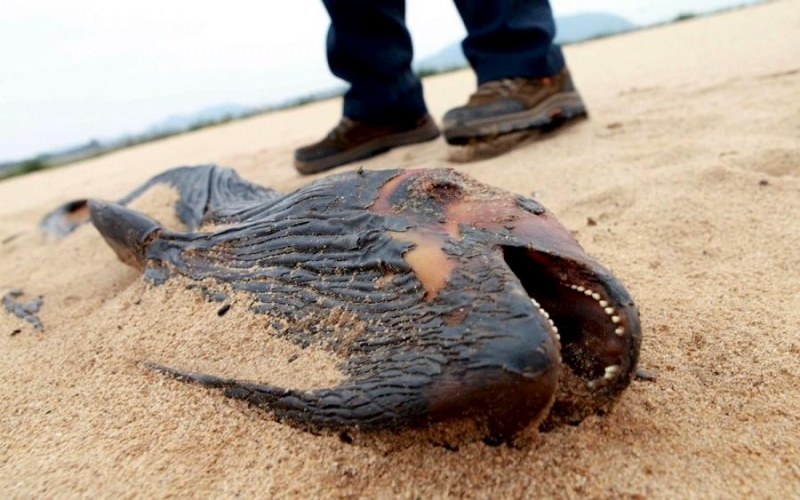 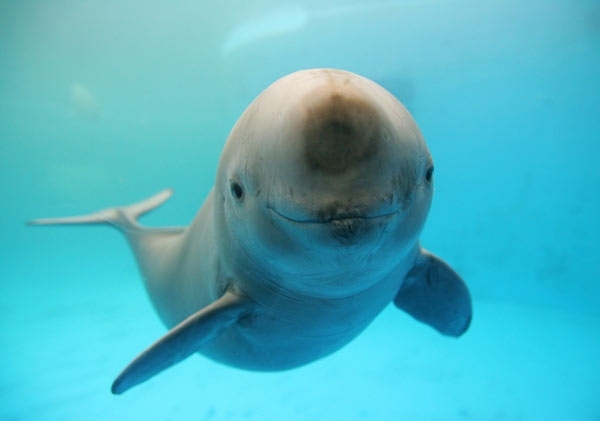 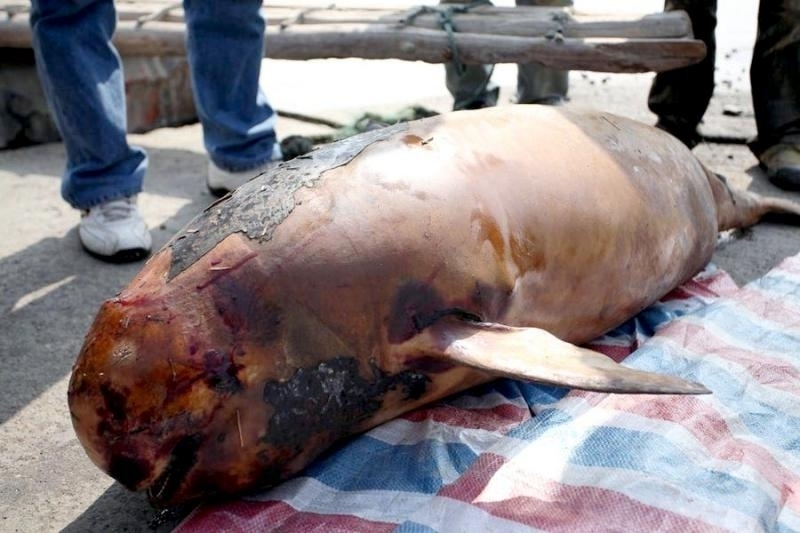 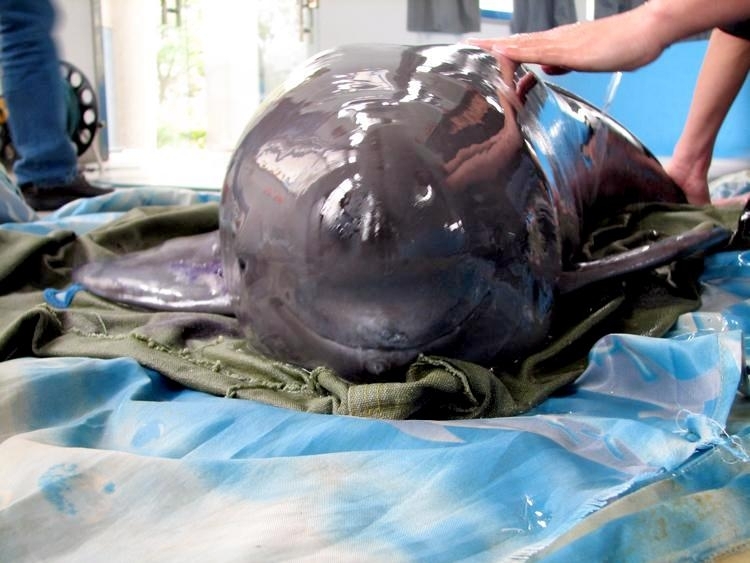 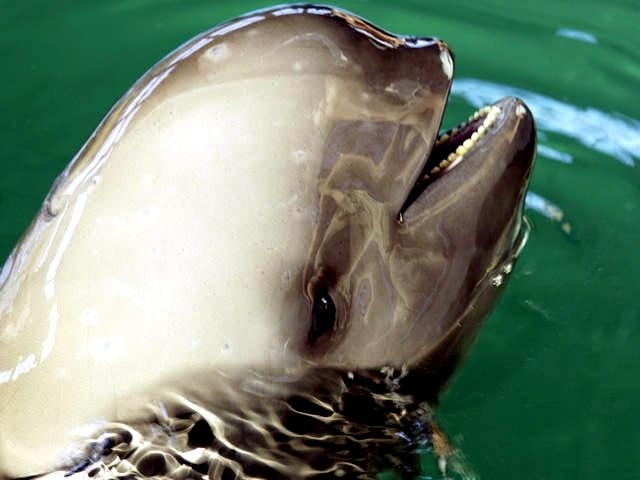 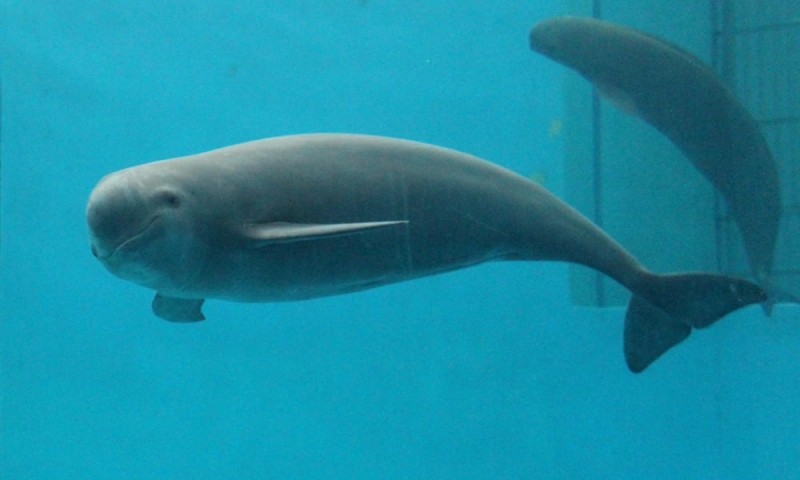 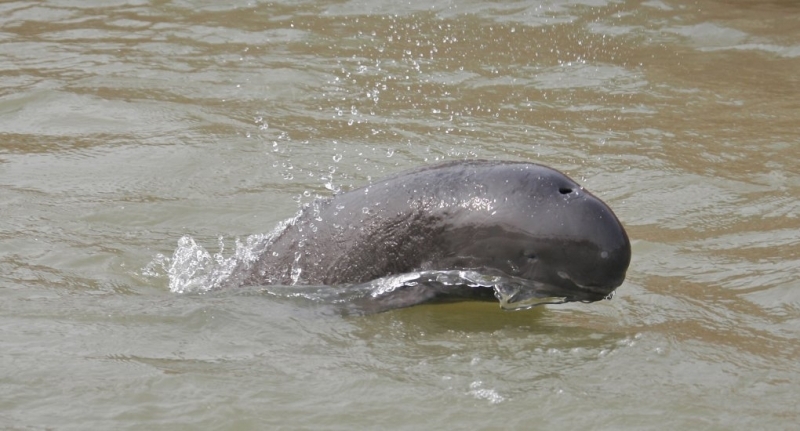 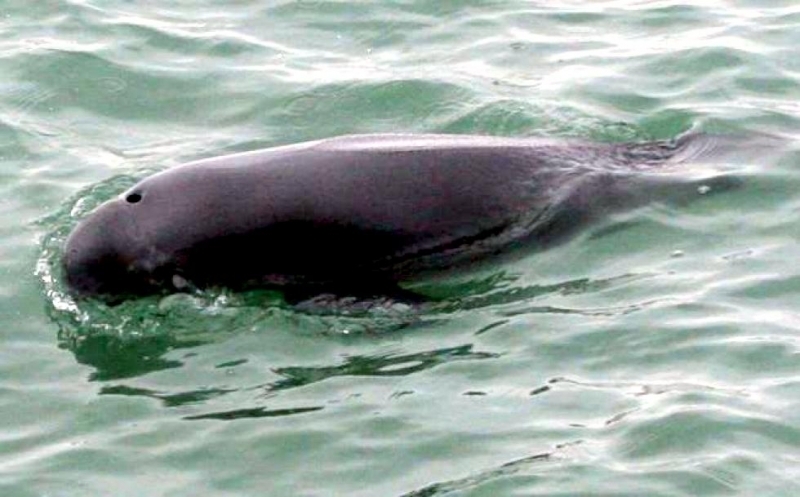 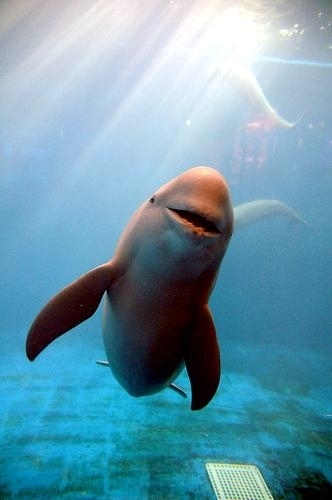 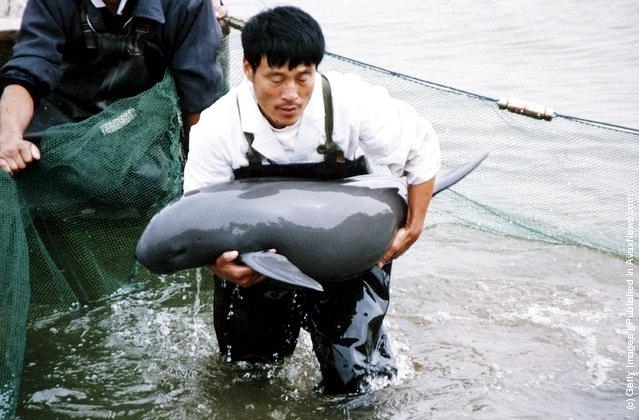 The Yangtze River Finless Porpoise is found in the coastal waters & rivers of Southeast Asia. 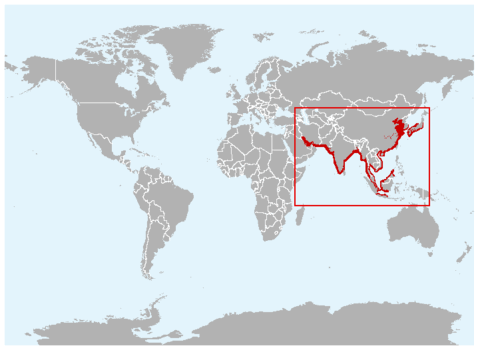 It is concentrated in the eastern Indo-Pacific region and can be found from Pakistan to Korea, Japan, Borneo and Java. 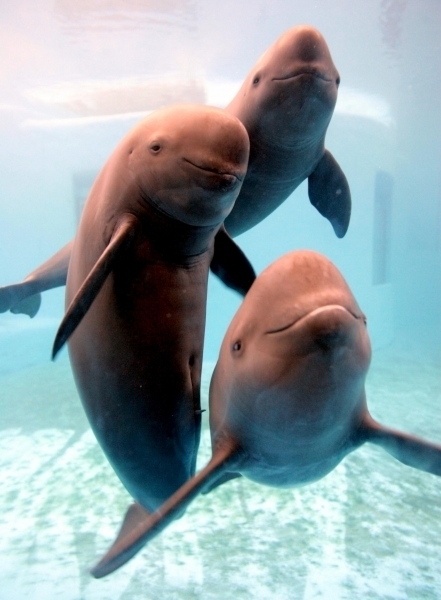 They live in both freshwater & saltwater habitats. 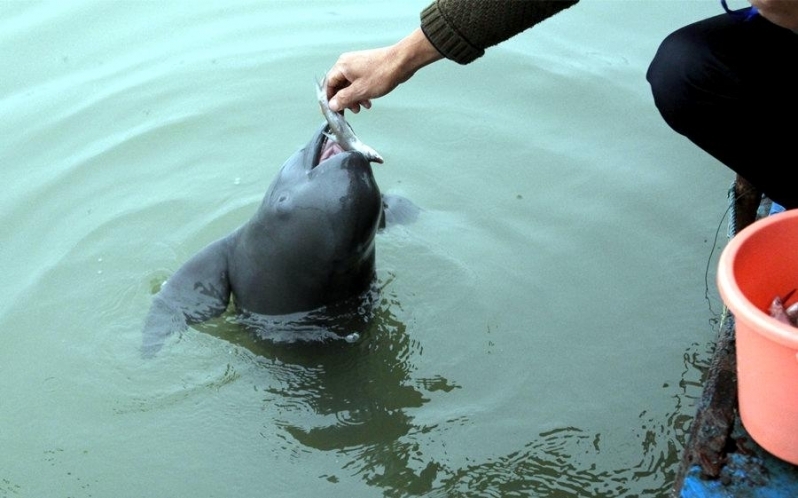 It is found in shallow coastal waters such as the Sea of Japan as well as freshwater rivers like the Yangtze River in China. 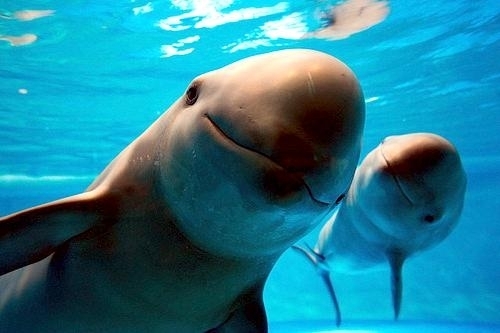 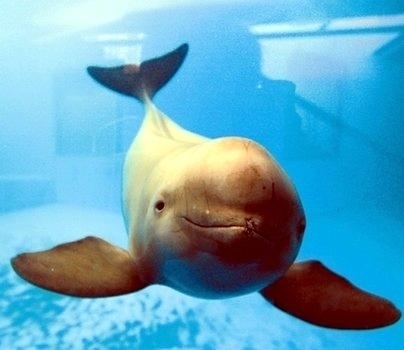 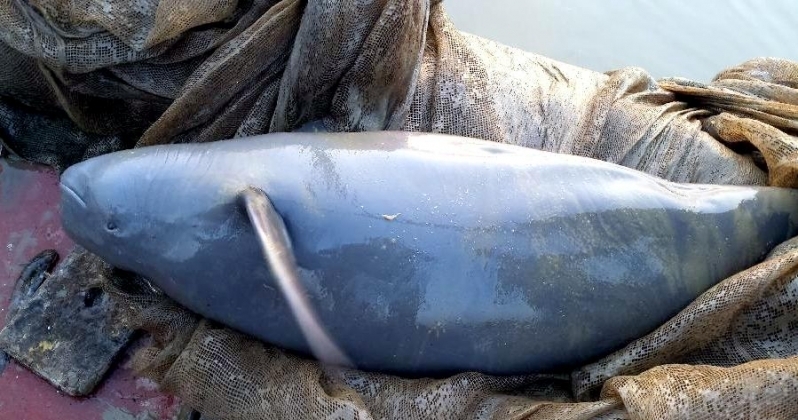 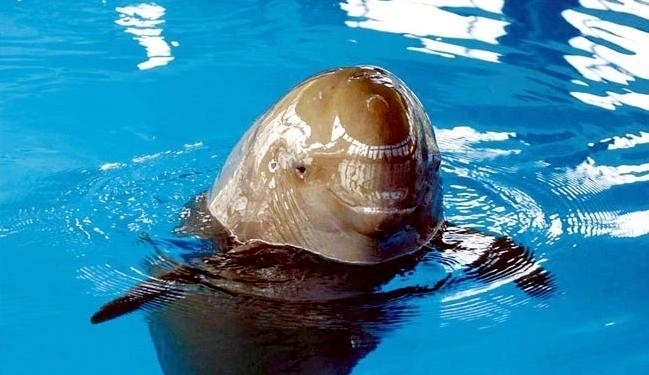 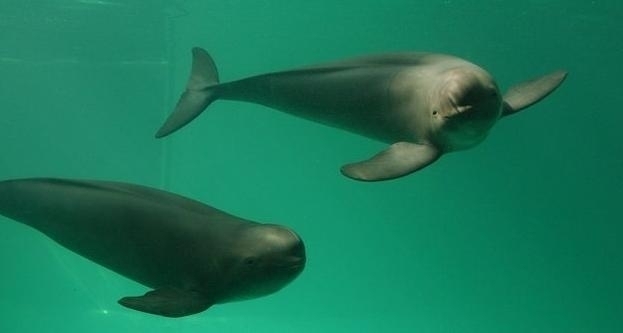 The Yangtze River Finless Porpoise is occasionally found in inland lakes which have been cut off from the ocean but are still saltwater and seem to prefer rocky promontories & strong currents. 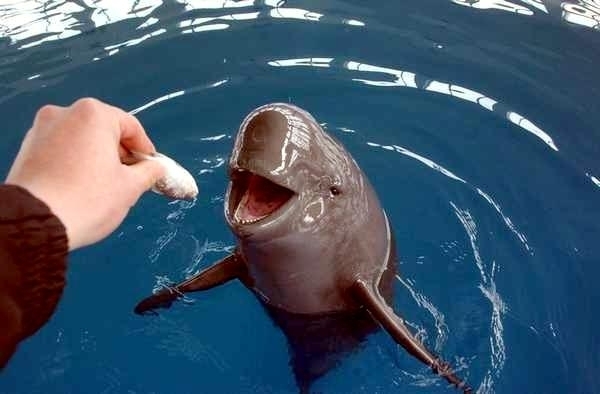 They are a small cetacean and grow to only 150-190 centimeters. 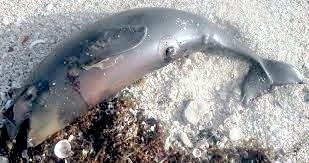 It has a distinct eel-like shape due to its lack of dorsal fin and round, beak-less head. 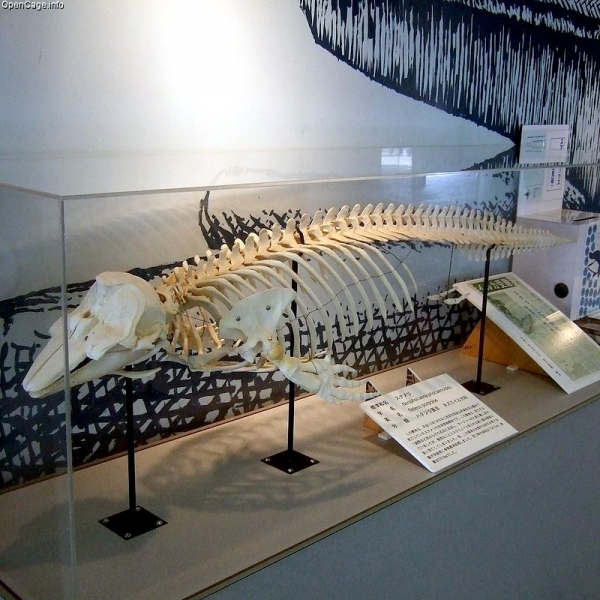 The jaw of contains 15-21 spade shaped teeth on each side of the upper and lower jaw. 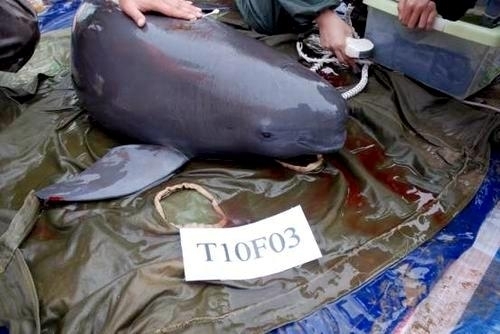 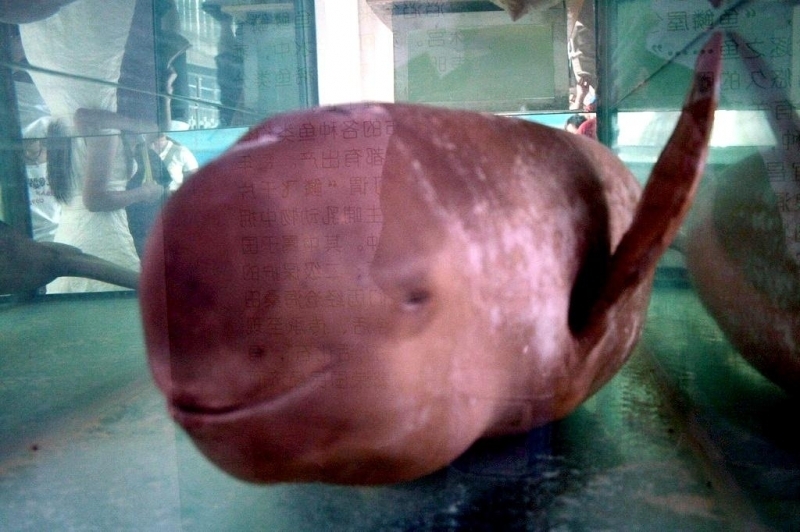 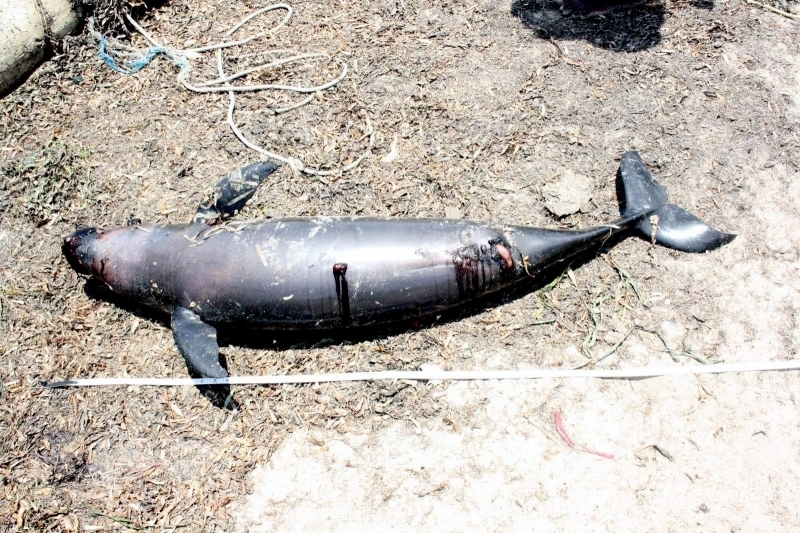 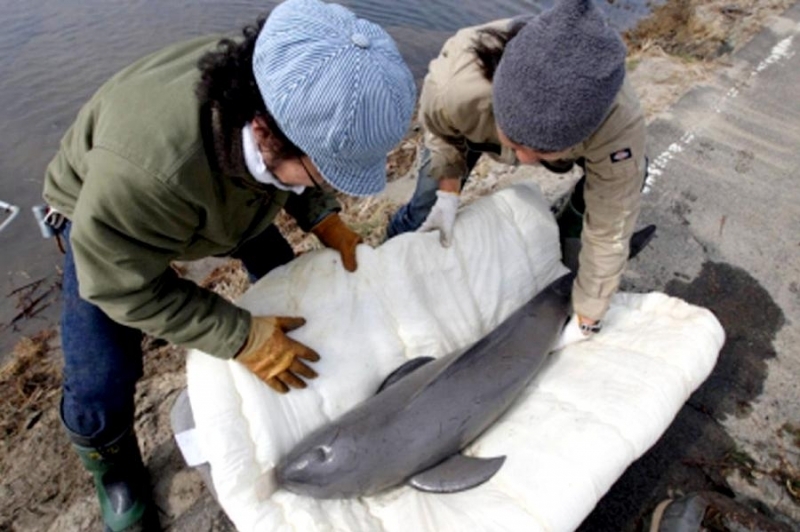 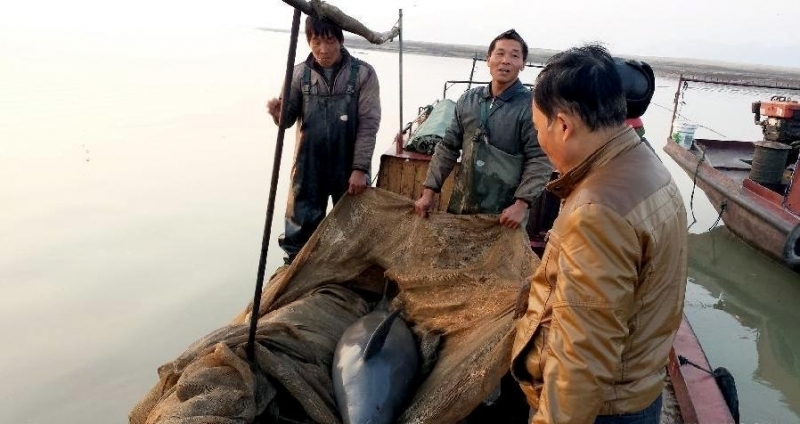 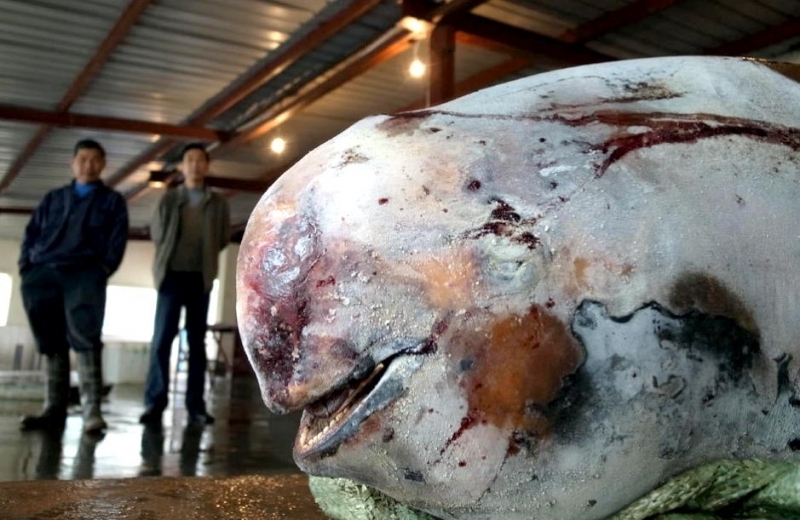 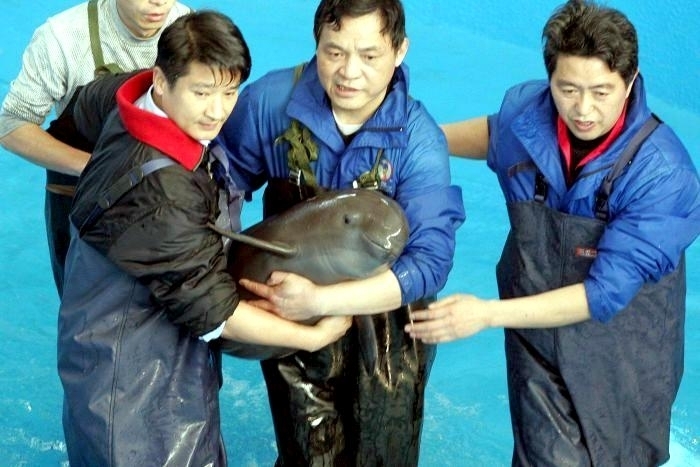 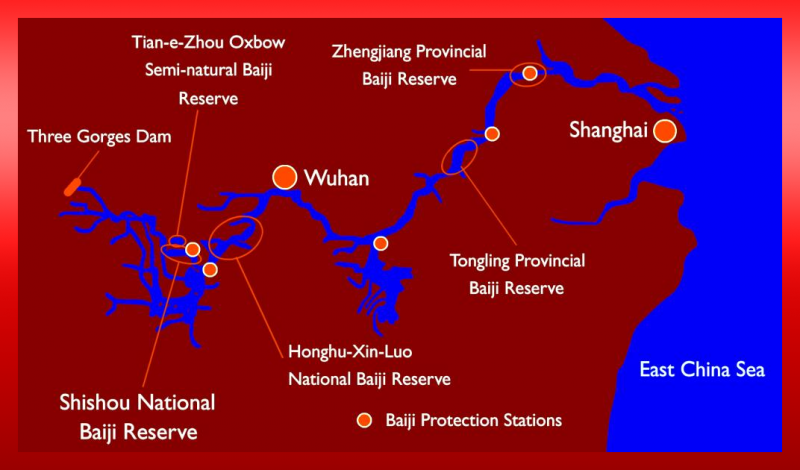 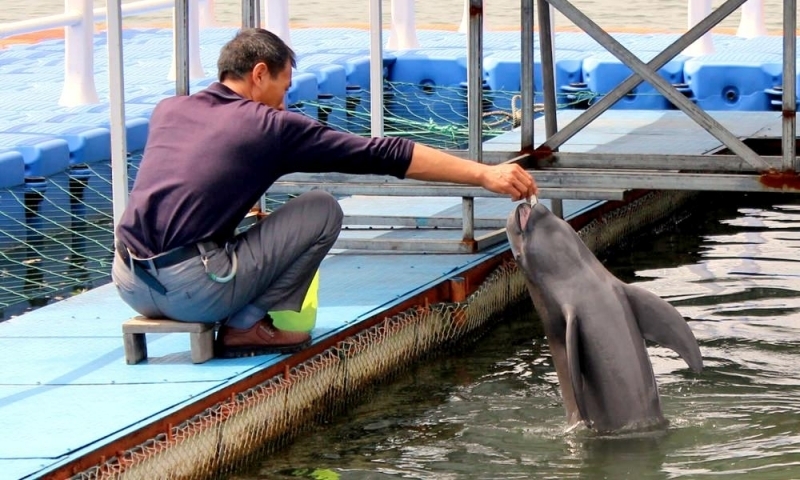 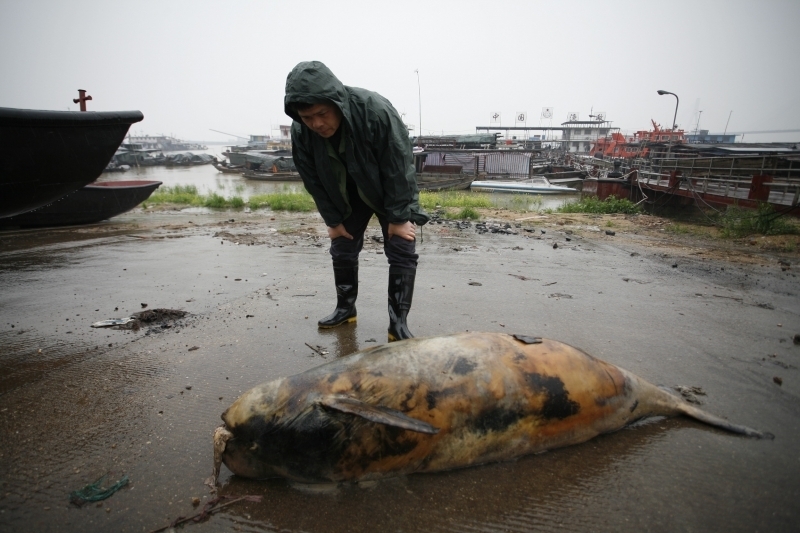 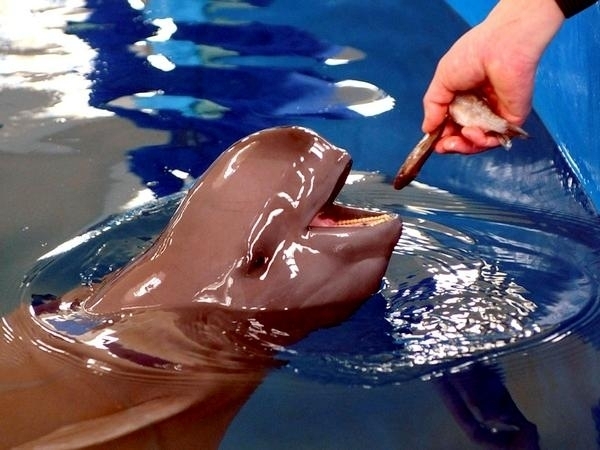 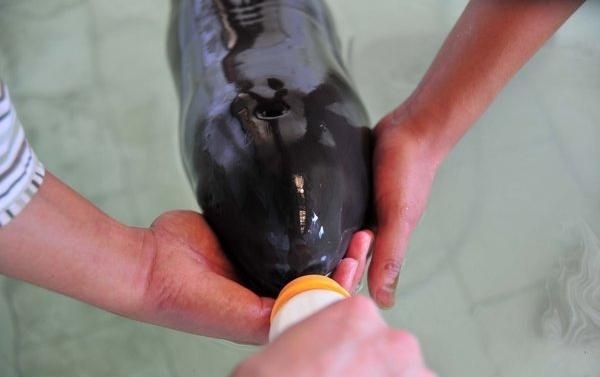 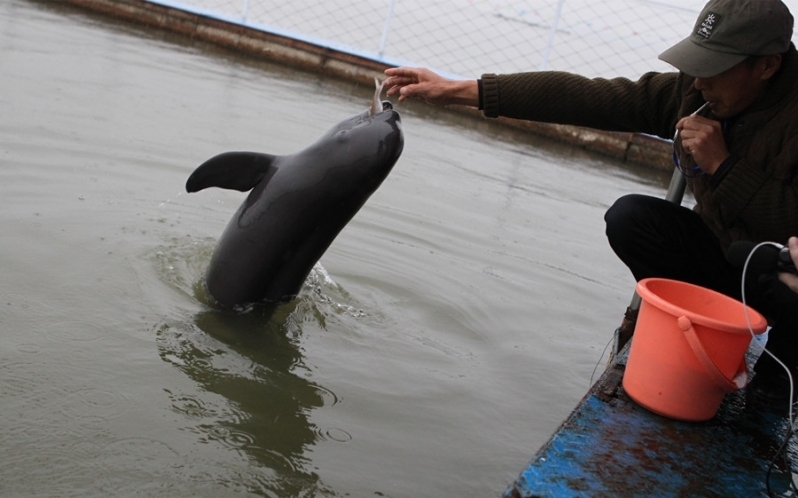 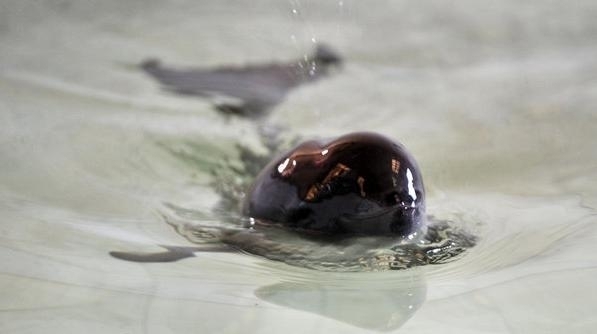 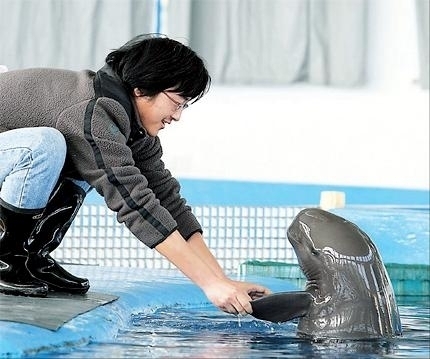 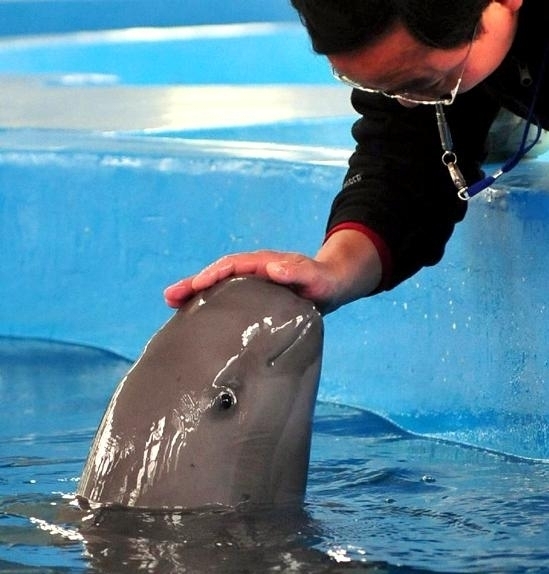 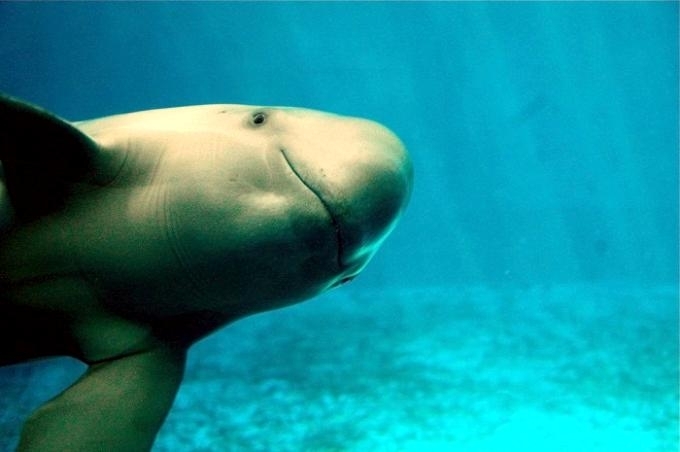 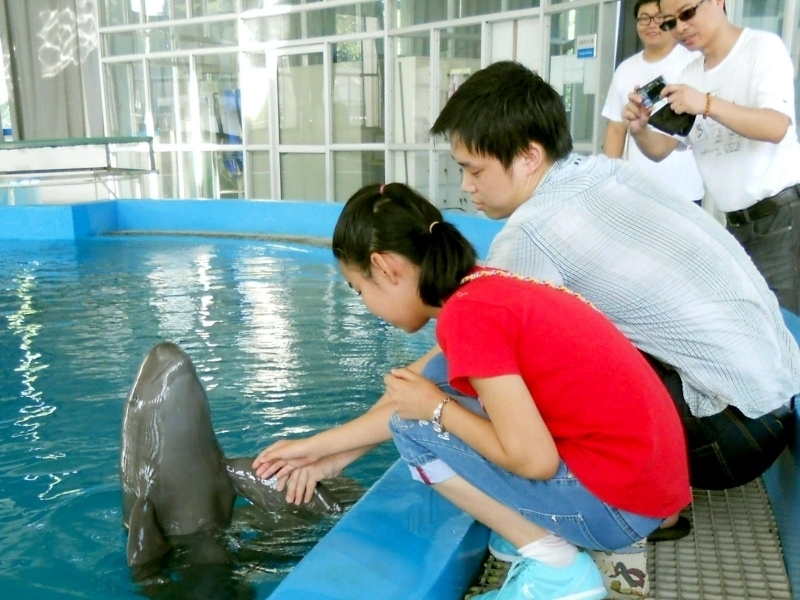 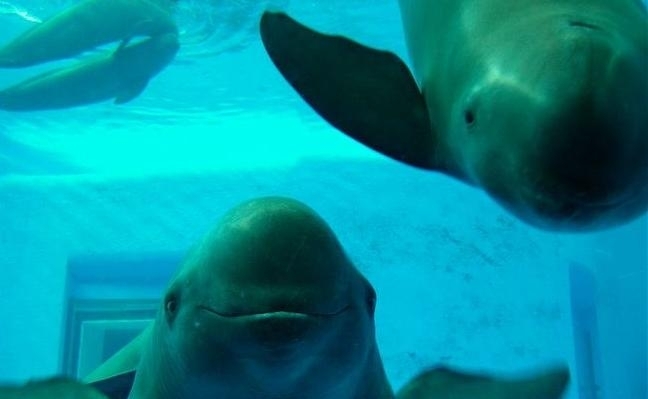 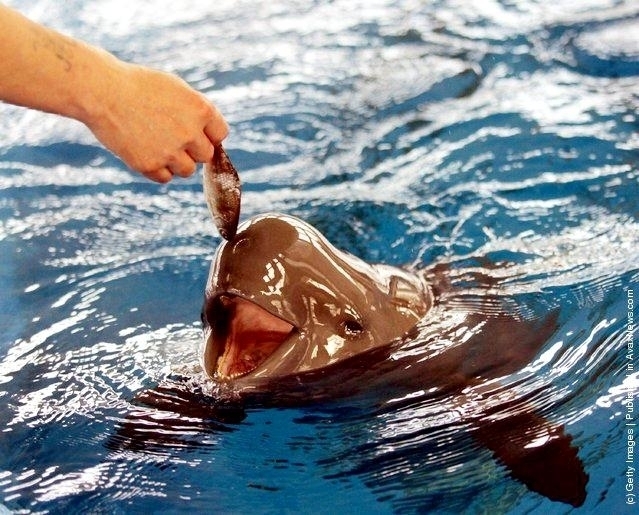 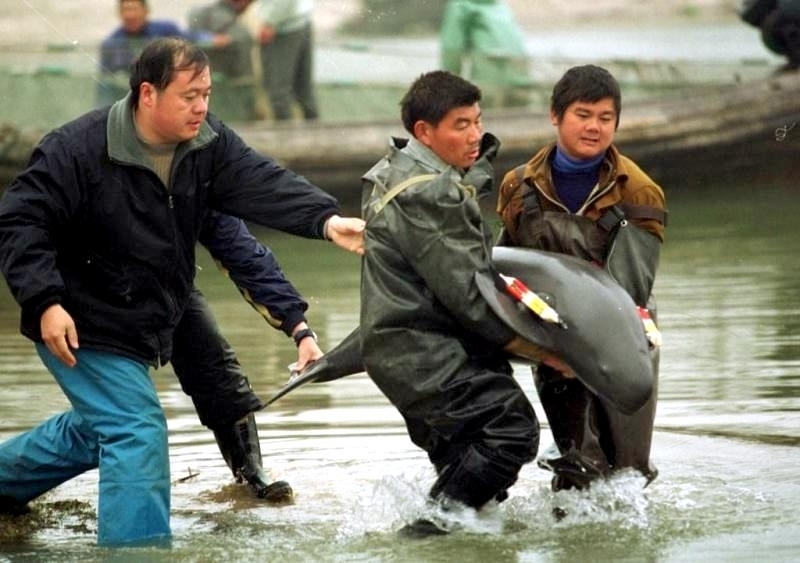 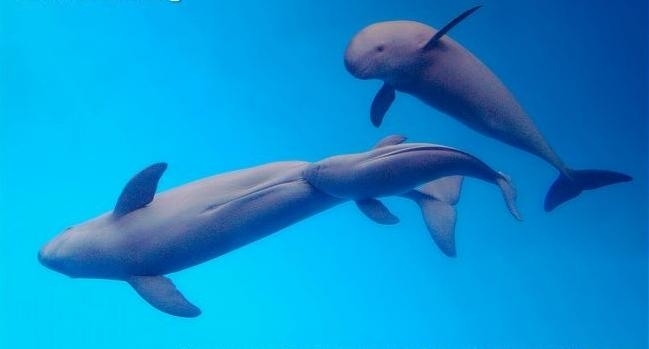 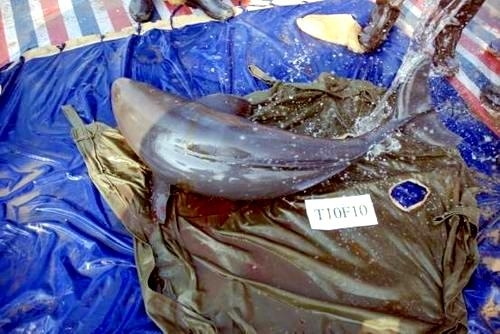 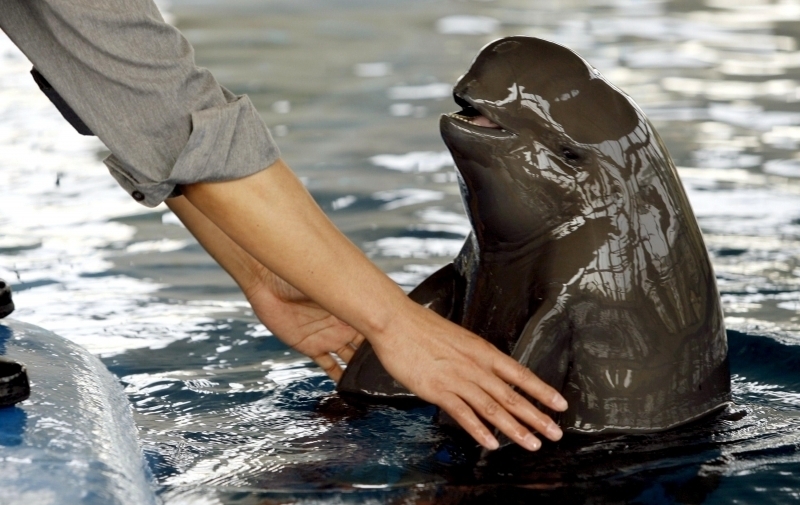 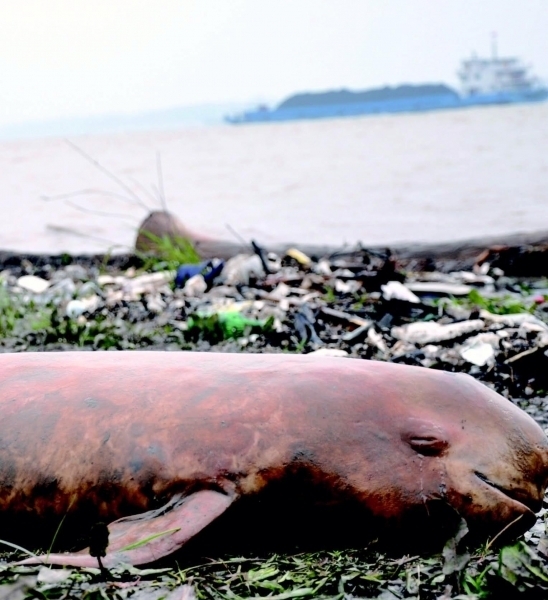 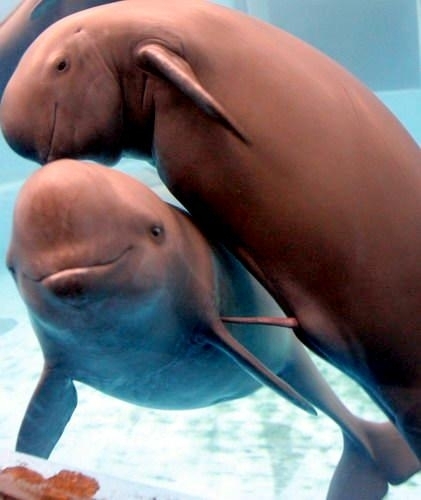 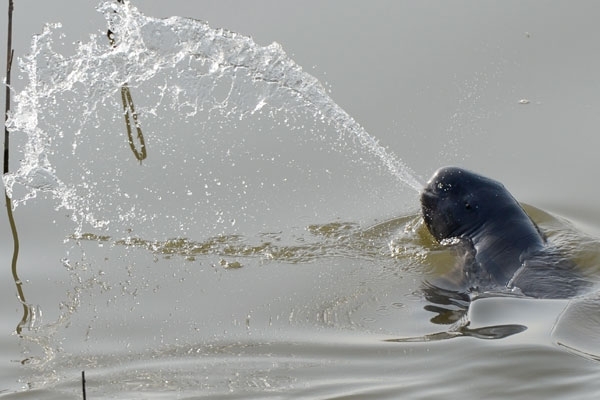 The Yangtze River Finless Porpoise reaches sexual maturity by the age of 2 years. 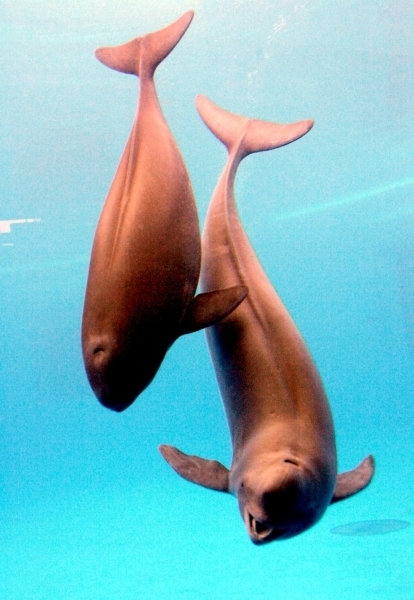 Reproductive cycles differ among geographic groups such as those located near Japan and those near China. 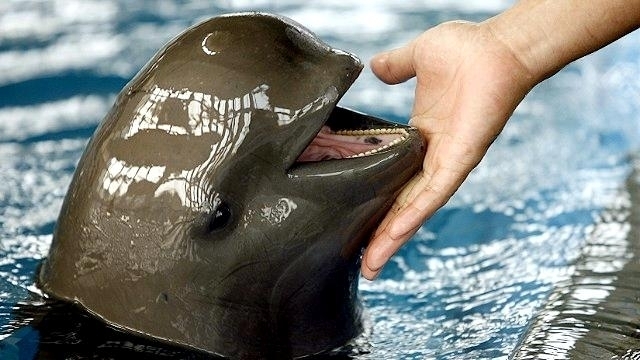 This porpoise is sometimes called the Black Finless Porpoise because of the common misconception that its skin is black. 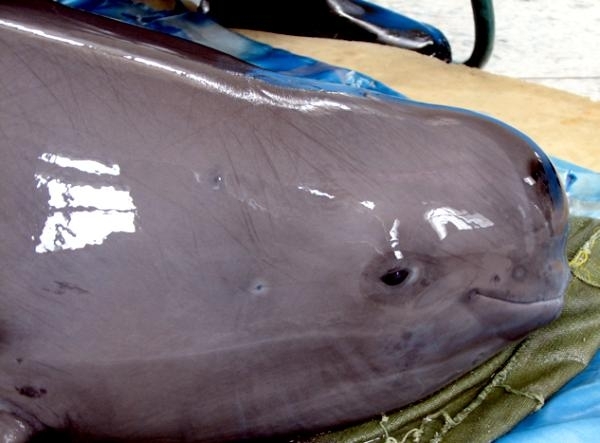 In reality, the upper portions are gray with touches of blue on the back & sides. 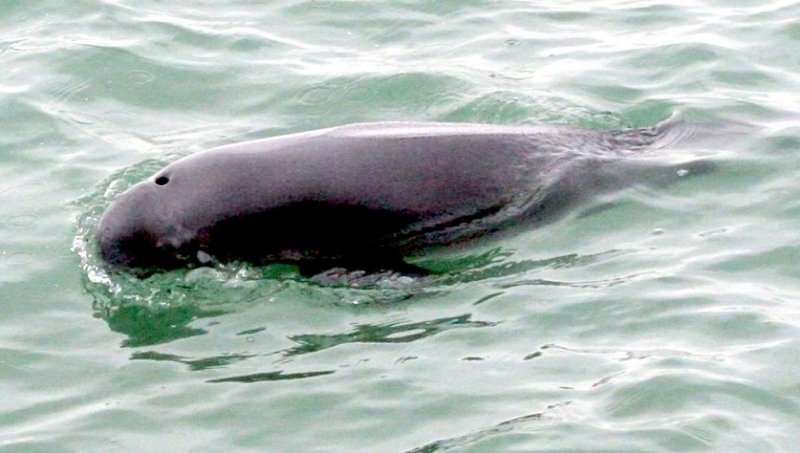 The ventral parts are paler. 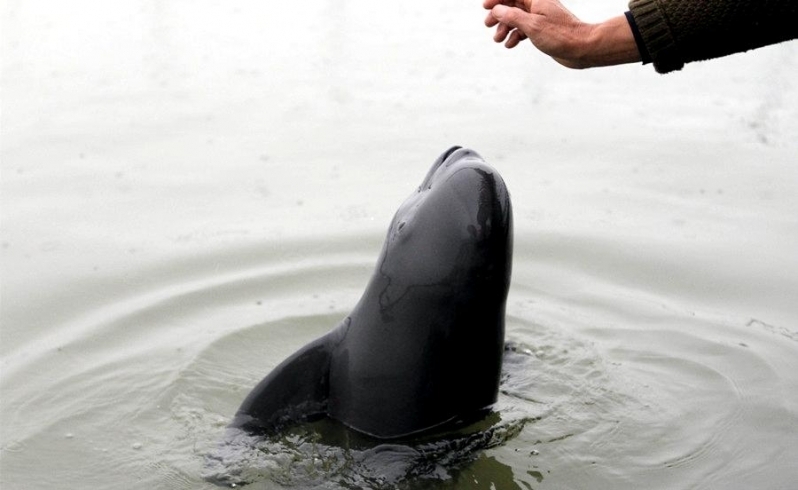 Pale spots do however decrease with age and the skin turns black immediately after death. 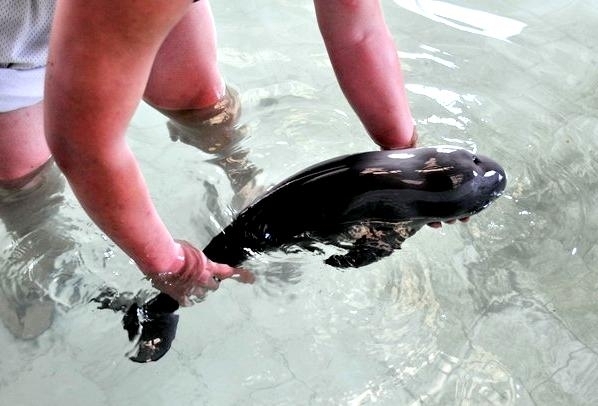 Further, the skin coloring differs from pale in oceanic and brackish waters, to almost black in rivers. 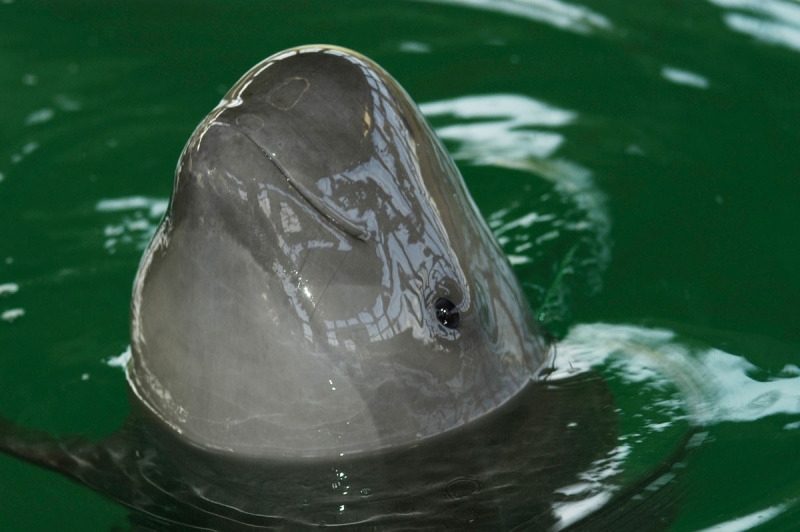 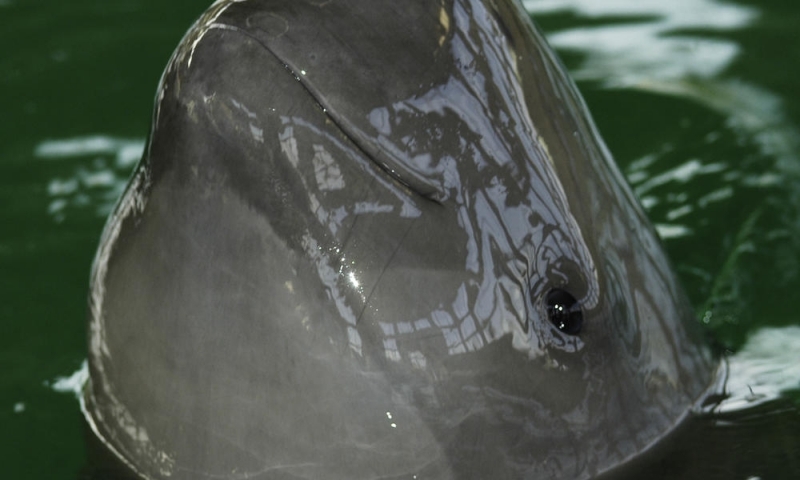 The Yangtze River Finless Porpoise has no dorsal fin but has instead has a mid-line dorsal ridge. 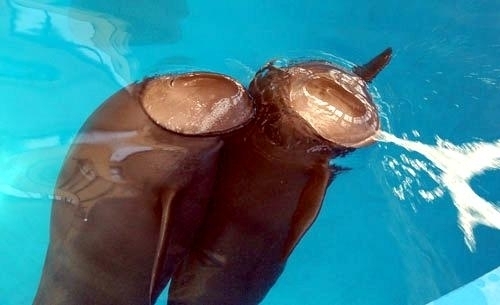 This ridge contains horny papillae. 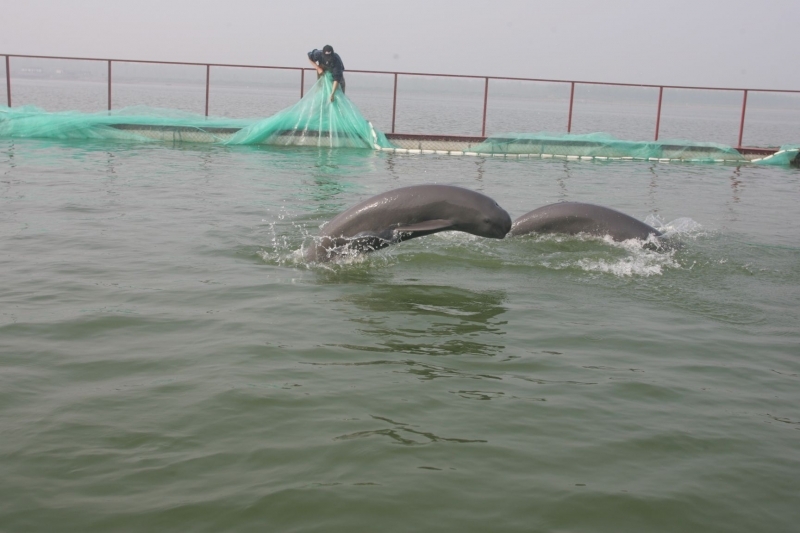 The breeding cycle is 1-2 years and gestation lasts between 10-11 months. 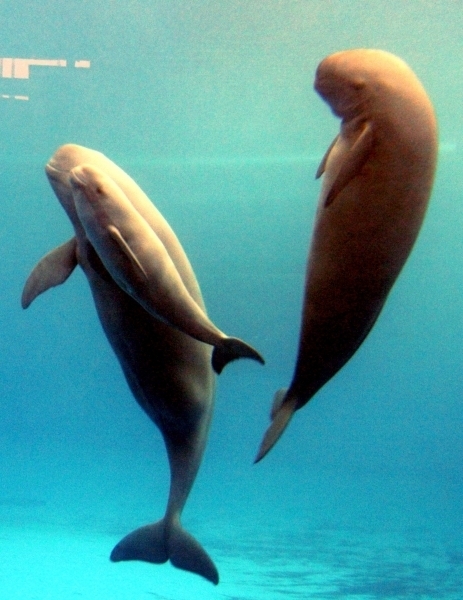 Births occur between February & August and there is usually 1 young per birth. 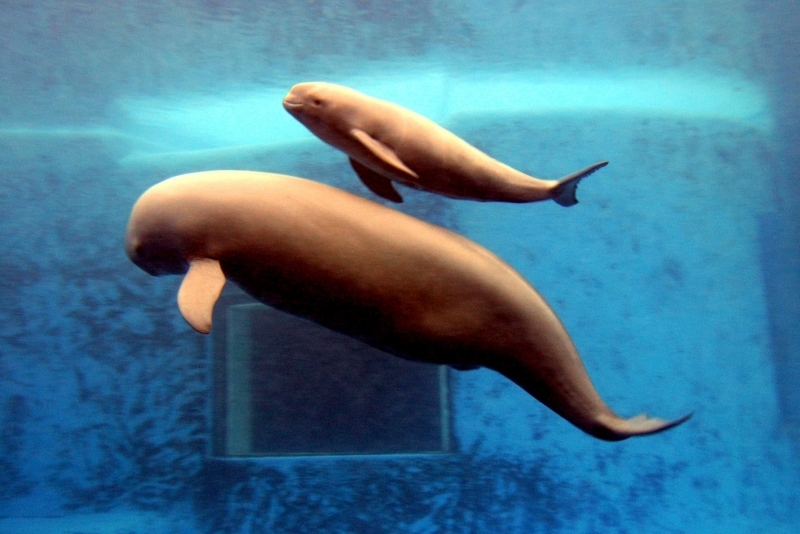 Newborns are around 25 kilograms, weaned between September & June and have been found to live up to 23 years.